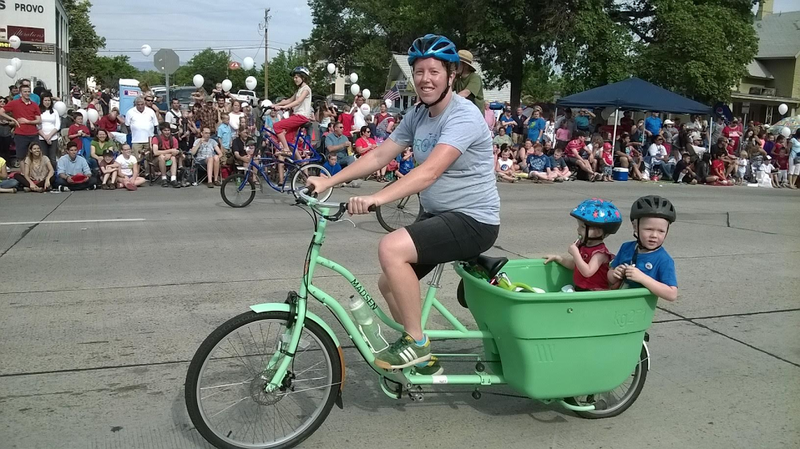 When the Provo Bicycle Committee came up with the slogan, “2015: The Best Year for Bicycling in Provo (Yet),” we had no idea it would be such a good year. 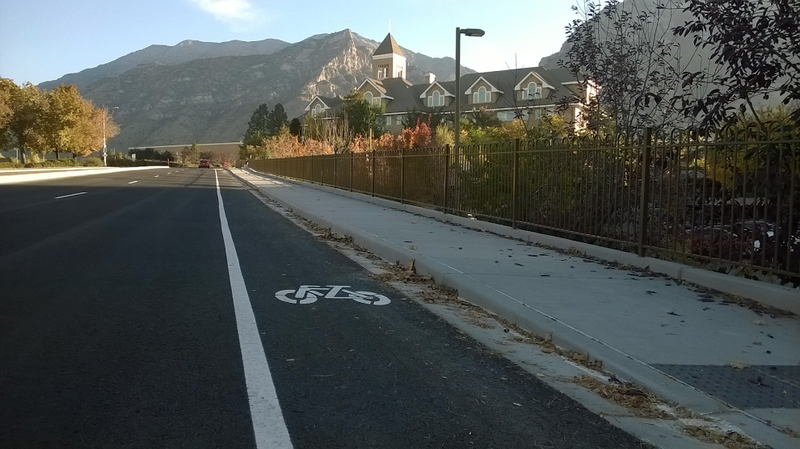 Here is a look back (with links) of how 2015 exceeded all expectations and advanced the goal of making Provo a more bicycle-friendly community and great bike town. After several years of presenting a Mad Dog Bicycle’s Cycles’ Bicycle Commuter Golden Spoke Award at the Mayor’s Bike to Work Ride in May, the Committee presented its first ever Canyon Bicycles’ Winter Bicycle Commuter Golden Spoke Award to Lexi Williamson at a city council meeting in January. Look for this 2016 honoree later this month. In the months that followed the Committee arranged for Provo School District to obtain Mountainland Association of Government funding to receive consulting from Alta Planning + Design of how to make the new schools it is building bicycle and pedestrian friendly. In May, Provo hosted the Utah Bike Summit (and mountain bike pioneer and keynote speaker Gary Fisher) for the first time ever. The summit had its biggest turnout ever. Check out this news broadcast video and the mayor’s welcome video to summit attendees. 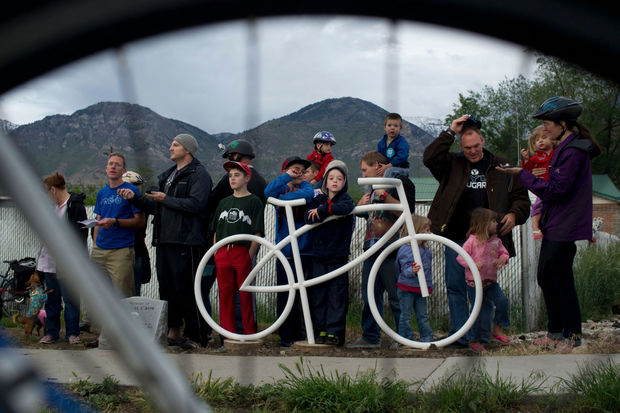 Early that month, Provo also hosted 50 transportation planners and engineers from along the Wasatch Front for a Bike Utah Mobility Active Transportation Tour and showed off Provo’s (and BYU’s) bikeways. Rainstorm after rainstorm delayed another event that was to be held in May–the Complete the Street 200 East Tactical Urbanism Party. But residents of the Joaquin Neighborhood who took the lead in organizing the event could not be denied. In early June, they made temporary changes to three blocks of the street, included bike sharrow markings and other traffic calming elements, to build support for its transformation into a Neighborhood Greenway that will run from 800 North to 600 South. Watch for another such event somewhere else in Provo in 2016. 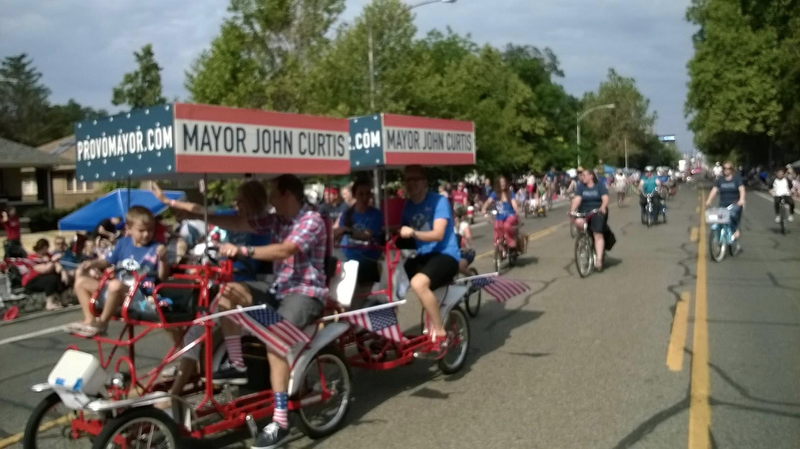 On July 4th, the Committee was honored to bicycle with Mayor Curtis down University Avenue in the Freedom Festival Parade. In August, Mayor Curtis made the epic announcement that protected bike lanes are coming to Bulldog Boulevard. 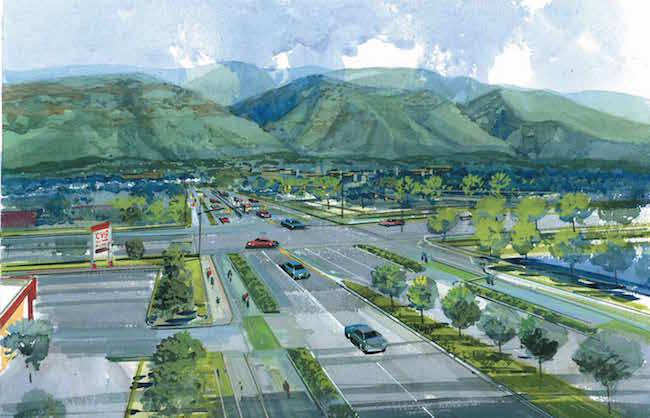 The project–planned for 2017–will not only transform what is now one of the most dangerous streets for bicyclists (and pedestrians), but it will also build support for similar changes elsewhere in Provo. Even more unexpected was the mayor’s announcement in September that bike lanes would be included on downtown University Avenue as part of the construction of Bus Rapid Transit, for which work will start this spring. Thanks to Mayor Curtis in his negotiations with UDOT for reviving a goal that the Committee had fought hard for years ago and given up on, and ensuring that this stretch of the downtown will become a complete, multi-modal street. Also in September, the Committee organized the Fifth Annual Bike to School Week encouraging hundreds of K-12 students to get to and from school using the most efficient form of locomotion. This year Rock Canyon Elementary had the greatest number of bicyclists and received the Rad Rider’s Award from Mayor Curtis. 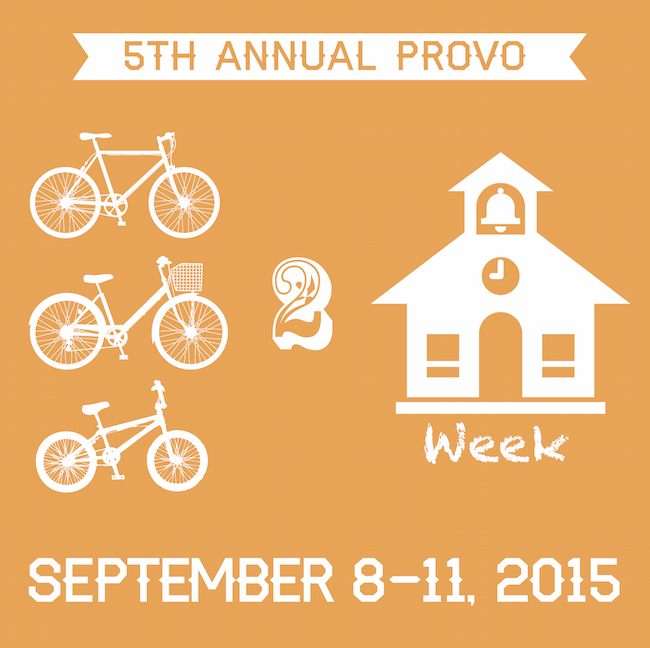 Thanks to all of Provo’s bike shops for their support of Bike to School Week. We could not do it without them. In October, the League of American Bicyclists recognized BYU as a bronze-level bicycle friendly university, which led the administration to turn what had been an ad hoc, unofficial Campus Bicycle Committee into an official university committee from 2016. In November, Provo residents elected David Harding, a year-round bicycle commuter (from the Dixon Neighborhood to his workplace in Orem) whom the Mayor presented the Golden Spoke Award in 2014, and David Knecht and George Stewart, who have also indicated their support for a more bicycle-friendly community, to the city council, and passed a RAP tax, which will help fund dramatic improvements to the Provo River Trail, the city’s most popular park, starting this year. 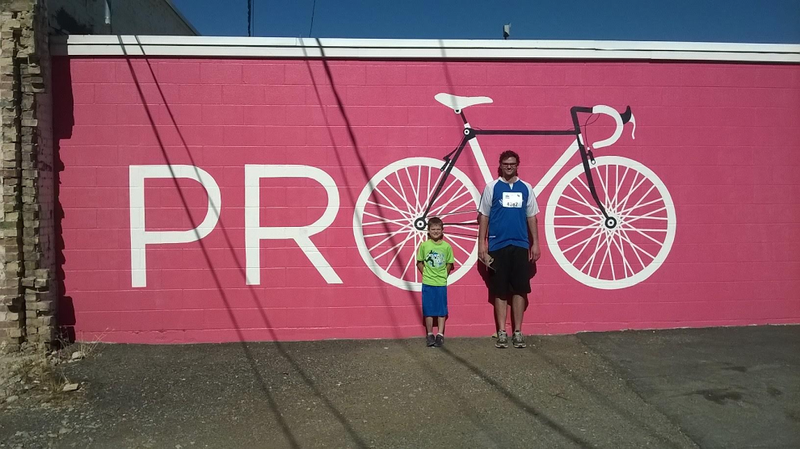 And all year long, the Provo Bicycle Collective has served as an invaluable resource for the bicycling community. Thanks to the efforts of its new manager Austin Taylor and many volunteers, the Collective is thriving as never before. Wow, what a great year! 2015 was the best year for bicycling yet. Even better things are to come. Please join us in helping them come to pass.